Today is National Rubber Ducky Day! In 1970, Jim Henson performed the song “Rubber Duckie” as Ernie on Sesame Street, and the rubber duck bath toy has been an iconic American symbol ever since. Rubber ducks have been around since the rise of the rubber industry in the late 1800s, but no one knows their exact origin. Look at these wonderful images… they’re not photoshopped! That is an actual 85 foot tall rubber duck! Florentijn Hofman is an internationally renown artist from the Netherlands who sculpts huge pieces usually of every day objects, sometimes WITH everyday objects. 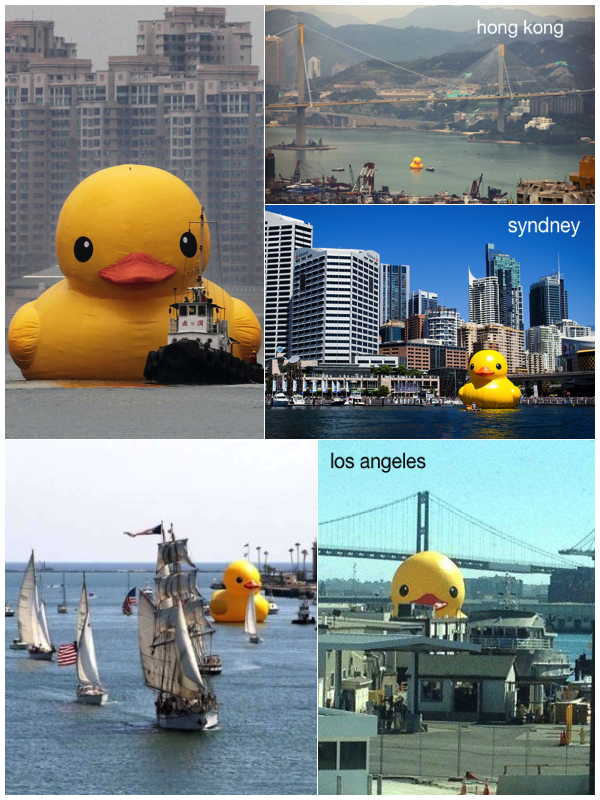 His Rubber Duck has traveled the world popping up in cities from Sao Paulo to Auckland, Hong, Sydney and even in Los Angeles for their Tall Ships Festival. How funny is that duck peering over buildings?! Click here to look at his other work. 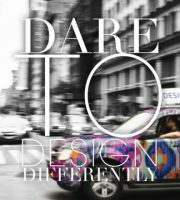 This entry was posted in art, Artist, Creative arts, Fun, Humor, Out & About, outdoor, Sculpture, travel, Trend Blogs, Trending, Uncategorized and tagged art, Design Works International, Florentijn Hofman, Fun, HGTV, HGTVHome, Jim Henson, Modern Art, Nancy Fire, Netherlands, New York City, Rubber Duck, Rubber Ducky Day, Sculpture, Sesame Street, Trend prediction, Trending, Trends by Design Works International. Bookmark the permalink. Love Rubber Duckies .Very traditional in England to have ducky in Bath from early age .Ive got 2 from hotels stayed in .In Coventry and London .